Metal is a popular roofing option because of its many benefits. Apart from superior durability and protection, it can also improve your home’s aesthetics. With the right metal color, you can greatly improve your home’s curb appeal and overall value. Let Rogers Roofing, a certified Gerard® Stone-Coated Steel roof installer, share some tips on choosing the perfect color for your metal roof. Metal roofs maintain their color for a long time, which is why it’s important that it complements your home’s architectural design. Take cues from your home’s exterior elements, such as landscape, siding and doors. Doing so creates a harmonious and unified look. 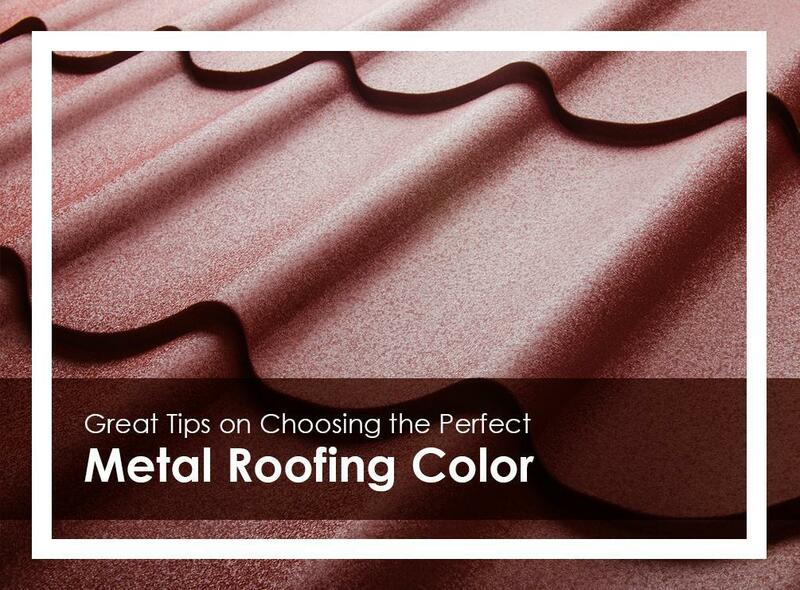 Knowing what look you want to achieve is another essential factor when it comes to choosing the perfect color for your metal roofing. With the various color options, achieving your desired effect is possible. If you don’t have something in mind yet, looking around your neighbor’s roofing systems may help. If you want your home to stand out, pick a hue that contrasts with your exterior. For a classic and clean look, you can also choose one in the same shades with your siding. Bare metal, on the other hand, creates a modern appeal for your home. Just like your windows, your roof and its color scheme have significant effects on your home’s energy efficiency. Did you know that light-colored roofs reflect solar rays better than dark-colored ones? In fact, white metal roofs are up to 60 degrees cooler when compared to regular asphalt shingle roofs. They are also ENERGY STAR®-certified cool roofing systems. At Rogers Roofing, we can help you select the perfect metal roofing color for your home in Hammond, IN, or Evergreen Park, IL. Call us today at (219) 228-8210 for Indiana or (773) 492-2270 for Illinois to request an appointment. You may also complete our form to get a FREE estimate.